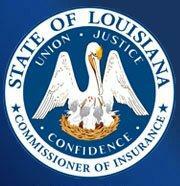 Business Description: The mission of the Department of Insurance is to enforce the insurance laws and regulations of the state impartially, honestly and expeditiously. To this end, the highest ethical, professional and work quality standards will be exercised in all formal and informal relationships with individuals, agencies and companies affected by the policies and actions of the Department. It is the Department’s commitment to be the best insurance regulatory agency in the United States. Business Description: Industry wide insurance information including company profiles, guides, product information, industry events, and more. Business Description: Trusted Choice agencies are insurance and financial services firms whose access to multiple companies and commitment to quality service enable us to offer our clients competitive pricing, a broad choice of products and unparalleled advocacy. 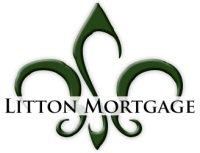 Business Description: Litton Mortgage is a locally owned and operated company in the Shreveport / Bossier City area. It was built upon a foundation of integrity. We believe that “He who walks with integrity, walks securely.” Prov. 10:9. We strive to treat every customer how we would like to be treated. Our team seeks to give you personal and professional, local service every step of the way. We strive to make obtaining your next home loan quick, simple, and affordable. We offer Competitive Interest Rates, Low Closing Costs, and Quick Turn Times. Our job is to serve you personally.